Note: Updated in 2018 for clarity and additional resources. Over the past several years, meditation has come fully into the mainstream. There are suddenly tons of articles on the benefits of meditation, meditation videos all over YouTube and apps dedicated to meditating. Does this sound familiar? If so, I’m here to bust the myth the meditation is difficult and not for you. Meditation is for everyone! It doesn’t have to take much time or effort, and everyone can sit still. Even if it’s just for a minute. I’m on a mission to make meditation fun and accessible for everyone, so I created this beginner’s guide to meditation. Before we go any further, let’s begin with a few definitions so you can get familiar and comfortable with the language of meditation. Sometimes the lingo can feel off-putting, but like most things you’ll pick it up quickly. First, what is meditation? Meditation is a practice that trains your mind. If that sounds a little vague, it’s because there are many types of meditation done for different purposes. One of the most popular meditation practices in the U.S. is Transcendental Meditation, or TM for short. Transcendental Meditation is practiced twice a day for 20 minutes. During this time you sit comfortably with your eyes closed and silently repeat a mantra. A great resource on TM is the book Transcendence by Dr. Norman Rosenthal. I learned TM a few years ago and I wrote a blog post about how powerful it is. Another popular practice in the U.S. is mindfulness meditation, which is based on stillness and calming the mind. Mindfulness meditation often involves sitting comfortably and paying attention to your breath, your physical sensations and your environment. When your mind wanders, you gently bring it back to the present. I teach Kundalini meditation. This type of meditation uses mantras, breath work, mudras (hand positions) and even physical movements. All the meditations in my book Miracles Now are Kundalini practices. But even before I became a student of Kundalini yoga and meditation, I designed my own stillness practice based on different tools I’d learned throughout my life. I love guided meditations because they’re very easy to follow. During a guided meditation, a meditation teacher guides you (in person or via audio or video) through a meditation practice. Guided meditations are great for both beginners and long-term meditators! I created a free 4-track meditation album that you can download instantly. All you have to do is press play, listen and follow my guidance! Another term that comes up a lot when talking about meditation is mantra, which I mentioned above. What is a mantra? Simply put, a mantra is a word or sound that you repeat throughout a meditation to help focus the mind. Mantra comes from Sanskrit. Man is the root of the word for “mind,” and tra is the root of the word for “instrument.” Mantras help us disconnect from that stream of thoughts constantly flowing (sometimes rushing) through our minds. Keep in mind that not all forms of meditation use mantras. My all-time favorite mantra is part of a powerful Kundalini meditation that I like to call the Miracle Meditation. It’s otherwise known as the meditation to expand into intuitive knowing. You can find my guidance on it here. The benefits of meditation include decreased stress and anxiety, increased mental clarity, better sleep and so much more. I’ve meditated every day for nearly 15 years. I owe my happiness, health and awesome life to this one simple tool! Through my meditation I have learned how to boost my immune system, release my fears and heighten my intuition. My daily meditation practice has given me an internal power that supports all that I bring forth in the world. This is a big promise. And I know it might even sound intimidating. But even if you’ve never meditated a day in your life, or if everything you’ve tried so far has left you feeling frustrated, I want you to know something. Meditation is a practice for everyone. That includes you. You too can experience this groovy power, intuition and connection by following the simple meditation steps outlined below. Remember that we call meditation a “practice” because that’s exactly what it is. It is a habit. You do it to feel good. To get grounded. To calm and clear your mind and energize your body. You can begin experiencing the benefits of meditation right away. And over time they will grow greater and greater. To help you demystify your meditation practice, I’ve created a beginner’s guide of 10 tips. These tips will help you start your own meditation practice, stick to it, love it and experience awesome benefits. 1. Anyone can meditate. You’ve just gotta want it! Like any practice, you have to want to do it in order to achieve results. It can be hard to start a meditation practice because it seems so foreign from what we’re taught to do. But I have good news: Meditating is much simpler than we make it out to be. Beginning a meditation practice requires only your slight willingness. Your desire to experience something new is all you need to get on a new path. Let’s set the intention to begin your practice now. Affirm this statement out loud to yourself: I am open to meditation and I welcome a new practice into my life. This simple statement will give you all the energy and enthusiasm you need to continue reading this guide and beginning your practice. It’s very important to accept that anyone can meditate as long as they want to. 2. Create a meditation space. It’s great to create a space in your home that is quiet, uncluttered and serene. This space can be dedicated to your practice. But if space is tight or you travel a lot, no worries! You really can meditate anywhere. You can meditate on a park bench, at your desk, in the bathtub and even on the subway. Meditation can become a part of your daily routine and you can do it anytime, anywhere. However, if you can, create a sacred space to meditate in. You can keep the space minimalist or fill it with items that inspire you, like tapestries or rugs, crystals, a yoga mat, a small fountain, beautiful art, mala beads, plants or a card deck. Even if you have a small apartment, you can set up a meditation pillow and light a candle. 3. You DO have time to meditate. You have a minute to spare, right? One minute a day spent in stillness can change your life. Commit to one minute a day and use this practice to silence your mind and calm your energy. Here’s another great meditation that you can do in one minute or less every day! 4. Meditate by finding peace in your pulse. Meditation can be as simple as finding your pulse. 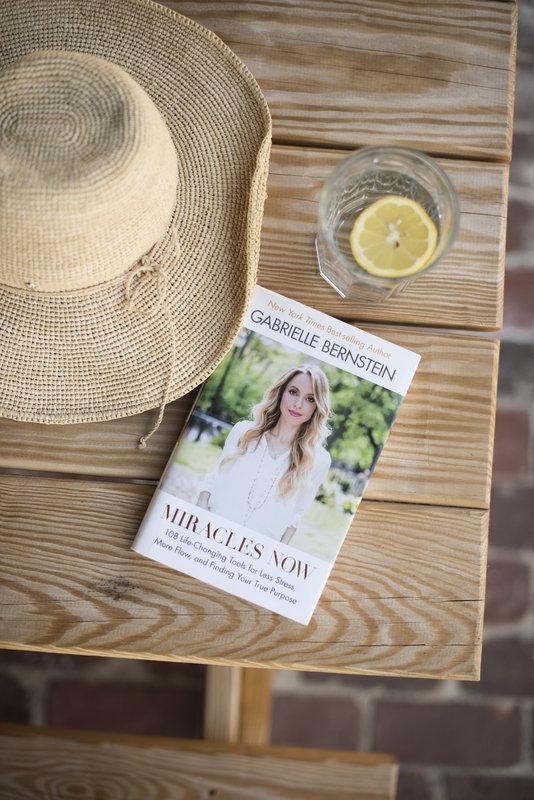 This foolproof tool from my book Miracles Now is very easy for meditation newbies. I call it Peace Is in Your Pulse because it improves your concentration and brings calm to even the most scattered mind. The hand position (called a mudra) is simple. Place the four fingers of your right hand on your left wrist and feel your pulse. The fingers are in a straight line, lightly pressed on the wrist so you can feel your pulse in each fingertip. This meditation can be done any time, anywhere and you can experience great benefits in just one minute. Practice it daily to develop your intuition and calm your mind. 5. Practice the “Peace begins with me” Kundalini meditation. This technique is an awesome, easy Kundalini meditation that’s fast and effective. You can do it anywhere. Gently press your thumb against your index finger, then your middle finger, then your ring finger, then your pinkie finger. Breathe deeply as you say each word. Go as slow or as fast as you’d like. Use this technique while you’re standing in a long line, do it under the desk in a work meeting or even in the middle of a fight with a partner or friend. This technique will get you through all kinds of crazy emotions and help you release resentment fast. If you want video guidance and would like to try out more Kundalini meditation, you can check out my Miracles Now meditation videos. You can go even further with my Kundalini digital course, Turn On Your Inner Light. 6. Meditate on the train. Do you take a train or bus to work? Instead of scrolling through your phone, use that time to get centered. Here are two easy ways to get started meditating on public transportation! You can download my guided meditations and listen to them on the subway, on the bus or in your car while you’re safely parked. You can also explore all my meditation albums. During your commute it’s helpful to repeat a mantra to yourself as you inhale and exhale. Reciting a mantra while you connect to your breath can be a very powerful meditation practice. 7. Make cooking a meditation practice. If you enjoy cooking or baking, turn it into a meditative practice. When you’re in the kitchen you can detach from your day and get creative, even if you’re just whipping up spaghetti! The next time you feel stressed out after a long day of work, cook a delicious meal. The key is to be deliberate. When you walk into the kitchen, set up everything you need. Play relaxing or energizing music. Take your focus off your to-do list and onto serving your soul. Enjoy the process and then enjoy the meal! If you aren’t into cooking, you can turn other activities into meditative practices. You can achieve an awesome, meditative state of “flow” by dedicating some time to a favorite hobby like painting or knitting, or even while cleaning! When you bring in mindfulness and do these activities deliberately and with joy, they can become meditative experiences. 8. Meditate while you walk. You can find a meditative moment even when you’re walking. 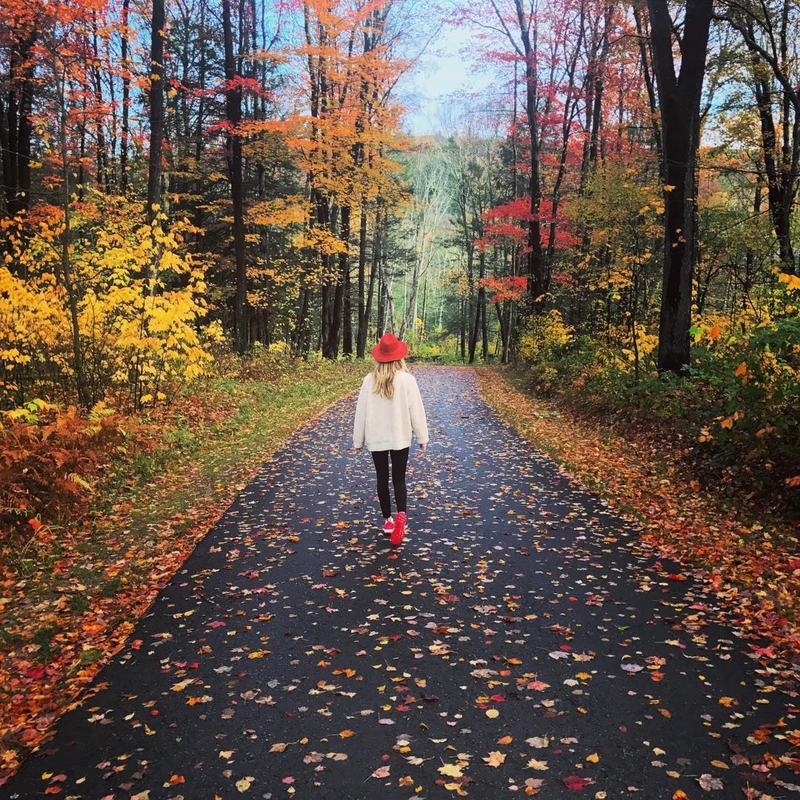 Walking is actually a great time to meditate because it keeps us from rushing and allows us to slow down, calm down and get grounded. Try this simple meditation practice the next time you’re running errands, stretching your legs on your lunch break or even grocery shopping. Slow down just a bit and make your walk meditative. Whenever you’re stressed, you disconnect from your body and your power. Get more grounded and connected with a walking meditation. You’ll actually enjoy your walk and feel much better when you arrive at your destination. You can also listen to this guided walking meditation. Many people blame technology for their stress, lack of connection and anxiety. Tech overload keeps us up at night, often literally. But there’s a new trend happening. Instead of being a source of anxiety or FOMO, our phones are becoming tools for stress relief. 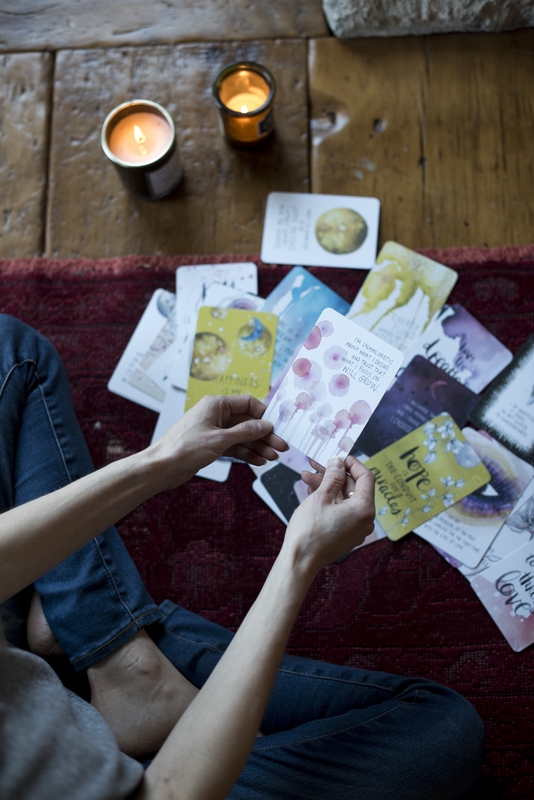 The growing trend is that people are turning to these channels for guided meditations, positive affirmations, empowering content and stress relief tools! Check out a few of my favorite meditative apps below, and click here for a longer list of my favorite spiritual apps. 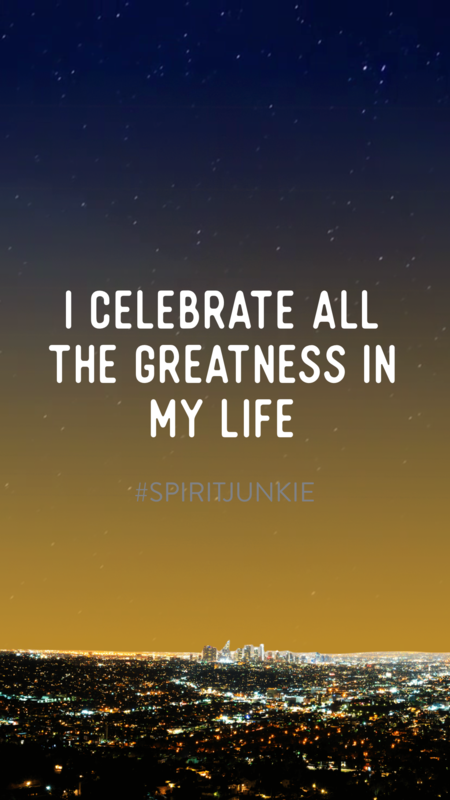 Start your day with a meditative moment through my Spirit Junkie App. The idea is simple but powerful. Each morning when your phone alarm rings, check your daily affirmation. While you’re still cozy in bed, clear your mind and meditate for a few minutes on the message, allowing it to sink in and soak your soul. Then start your day with a positive, confident attitude. The app is now available for both iPhone and Android! As a meditation junkie I’m a huge fan of Headspace. I love this app because it makes meditation very easy for folks who are new to the practice. The app contains easy tools to help you focus more, sleep better and experience more Zen. I recommend this app to anyone who’s new to meditation or just feeling stressed out. When you end your meditation it’s important to ground yourself. You may want to stomp your feet on the ground. Have a snack or drink some tea. Do something that gets you back into your body before going back to your daily routine. In Transcendental Meditation it is suggested that you rest for two minutes after your meditation practice. This rest period helps you reorganize your energy and get back into your body. If you quickly jump out of your meditation and start checking email or posting on Instagram you may feel very shaky. Moving too quickly out of a meditation can even give you a headache or make you feel anxious. Take a few minutes to sit in a relaxed manner or lie down and rest. Let your body recalibrate. It’s also helpful to set an intention for the rest of your day once you finish your practice. Seal the deal with a positive intention like this one: I choose to carry this peace with me for the rest of the day. 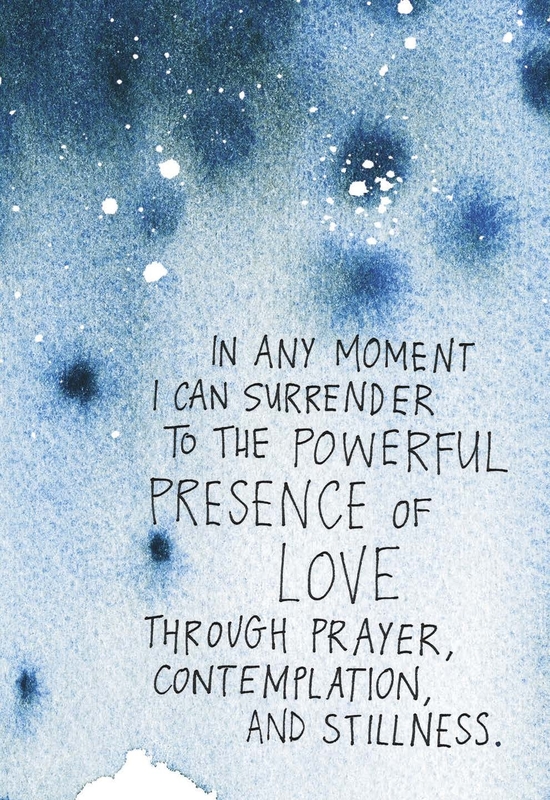 Set yourself up to win with a silent prayer after your meditation. It’s okay to feel awkward when you first start meditating! When you first start your meditation practice, you may feel awkward or even uncomfortable. That’s totally normal! You don’t have to be an instant expert to benefit from meditation. You can expect thoughts to pop up throughout your meditation. Instead of getting frustrated, try to let them pass. We are human and this is just how our minds work. If you meditate with a mantra, gently return to it whenever you catch your mind wandering. In mindfulness meditation, teachers often say to detach from those thoughts by seeing them as clouds floating in and out of your mind. The more you practice meditation — even if it’s just for a minute or two each day — the better you’ll become. But it’s not a contest or a competition. Like I said earlier, meditation is a practice. There are all kinds of ways to meditate and lots of tools to help you create a meditation practice that’s right for you. If one doesn’t quite click, try another. Let yourself adjust to this new habit and make it your own. Just remember: Anyone can meditate as long as they want to. That includes you. Do you think you don’t have time to meditate? I debunk that thought here! And in this blog I show you how meditation actually expands time. Need a way to release anxiety fast? Try the technique of alternate nostril breathing. Calm your mind and balance your mood with the Kundalini meditation known as Kirtan Kriya. Can’t stop judging yourself or someone else? Release that judgment by practicing Emotional Freedom Technique (also known as tapping). Deepen your spiritual connecting by free-writing in a journal after you meditate. Get a new guided meditation every month! Want fresh guided meditations every month? Check out my Miracle Membership! You’ll get a new guided meditation from me each month so you can try different styles of meditation and stay consistent on your spiritual path. There’s a lot more to the Membership. Click here to check it out! Love all this wonderful info. Thank you. I needed this today to get my meditation groove back on and my life back to being groovy. Sat Nam! Love your info as always. taking time to reflect, unplug and care for your needs is so necessary to a happy and healthy life. much love! woah, this post was radical! so much great info in one post. I usually do different meditation, but I just tried yours (breathing in eight strokes). Awesome feeling. Thank you for sharing, Gabby. Gabby, I really want to thank you for sharing so much information with no strings attached. This post, in particular, is so useful to me at this moment as I didn’t know where to begin, but have wanted so much to start a meditation practice. I’ve had the same thought in the past when you have shared other instructional resources as a gift, rather than a product for a price. It is sincerely appreciated. You truly are awesome. Thank you! big love… it’s a privilege to teach. So great, Gabby! Thank you again for shining your light, and guiding others to theirs! Meditation is a practice that has literally changed everything for me.. I know this post is going to help so many demystify medi (as I call it : ). Looking forward to vibing with you, Deepak and India Irie on the 8th of August, in person to boot! Sending love + light. xo. I’m so glad to see you recommend Headspace – I love it too and have often recommended it to clients to start a meditation practice. I absolutely needed to read this today!! Thank you! Quick question: Do you have any suggestions for establishing and sticking with a regular meditation practice when you have kids running around? wake up before them:) or invite them to sit with you … that may be tough at times. remember that one minute a day can hook you up! Thanks Gabby! I had just decided yesterday that I was going to commit to meditation every day this week so this was perfect timing. Love the ideas! Thank you! Hi Gaby! ..love your VLOGS. Regarding Meditation, I have Meditated every day for the last 8 months. They feel different every day …like one day I connect to my guides.. but then next day I focus on my chakras ..then next day I focus on my breathing or a Mantra…. and so on. My question is : do we have to stick to one way ..or is it valid to vary that often ? Thanks again. Love and gratitude, A. Love this and you, we are so in sync, I’ve just been prepping a post for my readers on how I’ve reframed meditation to work for me. A walking one I like is to walk and say the four syllables of I surrender with four foot prints – on repeat. This is so awesome Gabby! I love this guide! I’m currently working my way through May Cause Miracles (Day 14!) and I’ve been using a lot of the techniques from Miracles Now. The one I really can’t wait to try though is the Miracle Meditation! That’s happening tonight! This is brilliant Gabby! Thank you! Last week I decided it was time to do Vispassana soon, so to lead up to it, I’m doing a 12 hour silent retreat at home. 3 hours dedicated to reading a book on mindfulness, 3 hours of soulful journaling and 6 hours of meditation (several guided meditations, including your Kundalini videos I purchased, and 2 hours of totally silent meditation). Thanks for your loving guidance to raise our frequency. I can’t wait for your global meditation ?? Really appreciate all these links in one place. The releasing romantic partner meditation was a great thing to come home to. Thanks so much. Satnam! Do you have a meditation to clear the head noise? Sat nam ji! You are so full of love and light! Thank you so much for being such an inspiration Gabby. I love you ???? I’m always amaze by your generosity. You give so much. Thank you. I hope many blessings come your way. Dear Gabby, I have tried today for the first time your “Peace is in your pulse” meditation. I had one problem though, I couldn’t feel my pulse on my wrist, but rather I could feel it inside my body, for example in my chest area, then my head or my solar plexus. Then I relaxed my hands and continued to recite “Sat Nam” while feeling my pulse throughout my body. Is this variation possible? Also can I repeat the mantra throughout the day? Much love. Thank you. I’m so happy the work is serving you. Thank you gaby. You are a true inspiration! Thank you for this great recap, dear Gabby. I have a question for you : would you recommend to stick to one practise for a choosen period of time, or to alternate and change depending on the mood and the feeling ? I practise mindfulness every morning and night and have just added the Kriya meditation daily since last week (I am loving it… thanks). Now I would like to try some of the techniques you show, but isn’t it going to be too much of different things ? I do recommend sticking to one practice for 40-days. try it out and see how it goes. Hi, I’m a new viewer. It’s a joy listening + learning from you. Keep up the good work. I just sent this post to all of the “But…I don’t know how to meditate” people in my life. Thanks, Gabby!! I have followed your 30 day meditation challenge, and I did it! Not only am I completely in peace with myself I feel amazing. I am working on a health routine. While doing my 30 day meditation I have found my purpose and I am starting a non profit now. Thank you so much Gabby! I am so excited about the ‘movement’ on 8/11 with you, India Arie AND Deepak Chopra! I’m telling everyone about it and I’m even promoting it on my site! I love your guided meditations. When you spoke to vibrating with the cosmos at awesomeness fest, I was perplexed. What does that mean? Well, after putting Kundalini meditations into my daily practice I learned to know that feeling of connecting to source energy felt like. It’s increadible getting the energie flowing and to actually feel a vibration in your body just thru breath work and chanting. Amazing! You have cracked me open to flow. Thank you! ???? Hey Christina! Vibrating with the cosmos is pretty much just surrendering to that power greater than you working in your life and doing things for you that you cant do for yourself. When you surrender, trust you are being divinely guided and the cosmosbwill clear the path 🙂 Much Love! glad it’s helping. hope you’re great! Hi! 🙂 I love meditating, but not when I’m not in the right mood for it. Sometimes it’s hard to get to that point though… Is it okay to “make yourself do it” anyways? Or does that defeat the purpose? sometimes meditating when you’re not in the mood is the best thing you could do… see what happens and report back. Gabby, do you have any tips how to keep your meditation practice going while on vacation? Usually there is so much to do and see, and meditation tends to fall off the radar. vacation is the best time to cultivate your practice. get up early and sit wherever you are… enjoy ! Gabby – I have been practicing meditation ever since I discovered you a few years ago. I’ve discovered that when I meditate, sometimes I am REALLY in the zone, and I get a tingly feeling throughout my body. Other times, nothing happens, and I feel as if I am just going through the motions to get through the meditation. Is this normal? And how do I improve my practice so I get more benefits from it each time rather than every once in a while? totally normal. over time you will start to drop in more quickly. like any great practice it gets easier in time. I just wanted to stop by and tell you I heart you since I know you’re reading the comments right now 🙂 Thank you for teaching me how to love myself through meditation, a connection with God and beyond xoxo Have a fabulous weekend! When do you go to bed and when do you wake up? Ive been trying to get a routine down as far as meditation before bed and in the morning. But sometimes routines get messed up. So im open to suggestions! Thank u so much for all you do! say this prayer before you meditate: I welcome in ONLY guidance of the HIGHEST TRUTH AND COMPASSION. Hi Gabby, Thank you for explaining meditation so beautifully!!! How do you tune out the world so to speak to really concentrate? Thank you. just let the thoughts and distractions come and go. you don’t need to push them away or “tune them out.” just let them be. in allowing them to be present they can gently pass. I’ve been practicing for about 6 months with mixed results. Sometimes the meditation is highly effective in helping me control my negative thoughts or talk me down from the ledge when I feel out of control, but other times it doesn’t seem to work at all. How long do you have to practice before it becomes more consistent? each meditation will be different because each day you’re in a different state of mind and energy. just be with wherever you are in the moment. there is no right or wrong way to practice. just allow and trust that whatever is coming up that day is exactly as it needs to be. Thanks so much, Gabby. Shall try that out. I just saw the post on your FB page. My question is: If you start feeling uncomfortable during a meditation: should you stop or keep doing it (because you’re pushing through some blocks)? Thanks. all kinds of funky stuff gets worked out on the meditation pillow. breathe through the discomfort and allow it to pass. trust that whatever is coming up is something that needs to be healed. Hi Gabby! I have extreme upper back pain after 5 min of sitting down to meditate. Do you have any advice? The Sat Nam pulse meditation has hugely helped me. I suffer from panic attacks and I have been using this meditation to help calm me. I go to a quiet room and practice it and it’s moved me to tears because it has helped me. Sometimes, in the midst of a panic attack, I forget and then do it after the attack is over. Either way, I’m just thankful you shared it. What do you do when you have resistance to your meditation practice? I know how important my meditation practice is but I allow everything else to get in the way and then the day ends without a meditation. Thanks! just do it. start simple. begin with the peace is in your pulse meditation for one minute a day for forty days. be consistent and spirit will take over. I just want to thank you so much for everything you do! My life has done a 180 and I have you to thank for that. I was watching Super Soul Sunday and you were on and I felt impowered after watching. I share your tools and tips with my friends and try to give to them what you’ve given to me. Thank you from the bottom of my heart ???????? blessings to you!!! keep sharing the light that you are. I’m hoping that I get to you with my question today — I’ve tried many times to talk with you or comment to you etc, but haven’t had luck yet! I haven’t had resources available to see you live or attend a workshop etc. Crossing fingers today! I have so many questions for you — I’ve followed you for a very long time and you have helped me so, so much and through very difficult times, though I’m still sitting within one as I write this. My question today about meditation– I have tried my best to follow your guidance, listen to my ~ing, and so many other things. I have had miracles of success in short periods, then seem to get stuck on looking at the way that things are right now, and fall back into depression, fear, feeling sad or overwhelmed, etc., which, more often than not, ends up in my inability to *sit with myself* or stop to meditate without crazy monkey mind or super sadness. What techniques can I use for acceptance and slowing to meditate? What can I do feel more confident in meditation? How do you get past the fears and hesitancy in looking inward in difficult times? My question is in regards to closing the eyes while meditating. I would like to meditate on my drive to work, can a meditation be modified so I can keep my eyes open? I would prefer to always follow the guided meditations to a “T” but sometimes the alone time in my car is all I get during the day! Sat nam. I believe I see a very similar question and answer below 🙂 Namaste sister! Hi Gabby! I’m new to meditation and adding a spiritual practice to my life. I can’t believe I made it this long without it! I’ve learned so much about myself and have come leaps and bounds. I struggle a lot with “worry” and have had a really difficult time with stress due to finances and I find this IS slowly improving, and I FEEL my ~ING taking over so much of that “worry” for me, I’m just hoping you have an affirmation you can share that I can repeat when I have a really big “worry moment” (ie, after I look at my bank account and panic?)? I also have 2 children that are very young (they are definitely future little yogi’s!) and while I always try to meditate when they are in bed or being quiet, sometimes I just NEED to meditate for a few minutes while they are awake and running around. Do you have any advice for getting “in the zone” with lots of interruptions and distractions? Lots of light and love! i’m so sorry to hear about your mum’s passing. email press@herfuture.com and we will get you some free meditations to help guide you. Hi Gabby! thank you for all you great advice. I get extreme upper back pain after 5 min of sitting down for meditation. Do you have any advice? try sitting on a comfy couch or get a meditation chair. it’s important to be comfortable. Hey Gabby, how do you recommend letting go of fears in relation to grieving the loss of a loved one? I have a lot of anger built up towards my step dad surrounding my mums passing and feel like I don’t want to forgive.. Do you have to fully forgive to fully experience love? start by praying before your meditation. pray for forgiveness and then see what comes through. Is it necessary to close one’s eyes to meditate? If not, is it safe to do while driving? while driving you can recite mantras and practice breath work. you can also meditate while walking. though these types of meditations have a different result they are still beneficial for calming your mind and clearing out any negative energy or emotions. Thank you Gabby. I have a very peaceful (no traffic) 45-minute commute to work every morning and have been doing this for the last couple of days after I saw your videos on your blog. Thank you very much! Namaste. Hi Gabby, when doing Kundalini meditations for between 6-11 minutes (or however long), would it be appropriate to also do another form of meditation the same morning? Because it seems to me like Kundalini meditations are partially goal-oriented, and I’d also like a stillness meditation. Also, can you do one kundalini meditation one day and another the next and so on? I reccomend long stillness after you kundalini meditation. The kundalini meditation is great for busting through any blocks and getting you into a state of stillness. use that practice as a warmup for your stillness meditation. i have been meditating for a long time now, and continuously for more than an hour since past month. I must say it calls me a lot and takes away the tensions. But i don’t FEEL god yet. I don’t feel the connection. Am i rushing? Or am i doing something wrong, maybe setting wrong intentions. Please help. maybe try to stop defining what that connection should be like. if you’re feeling a sense of peace and calm set in, trust that that is God. any connection to a feeling of love is God. I just turned the big 3-0 and I’m feeling so overwhelmed with making this next phase of my life really count. I have a really hard time focusing on one goal/passion – I have so many ideas and areas of interest that I feel like a total scatterbrained flake! Any tips on finding out what I truly want to do vs. things that just interest me? I know it’s great to be well-rounded but my biggest goal is to make a living doing what I love. I know this is a vague question but any help would be great. cultivating a meditation practice will help you tune into what is truthful for you. i suggest giving yourself 30-40 days of silent contemplation. Allow your intuitive voice to come forward and let your logical voice take the back seat. true purpose and direction comes through stillness. Is there a time of day that the universe is more open to a person’s meditation practice? I have read that early in the morning such as 4:00 am is optimal. What do you think? I love to have relaxing music on while meditating..is that your practice as well?and if so, will you release your playlist for purchase?…I love all of the music that you play in your workshops. Growing light & backpack are two that I use. Focus is hard for me without guided meditation. Want to do it myself – feel like a wimp! How do you get there? Firstly thank you for being the light! you have helped me a lot in life. I have been meditating off and on for many years now. But i picked it up with regularity about two months back, been meditating for almost 2 hours since a month now. My life is a mess right now and I will credit that meditation has helped keep me sane. Though i feel very relaxed and stress free in the worldy way. I want your guidance. I dont FEEL god. i dont feel connected or the power of love or universe. Am i doing something wrong? Am i sitting with some wrong intention? OR am i just rushing it. Please share some advice. Thank you for sharing your journey with us and your are not alone. Hi Gabby! You know what would help me meditate better? A crystal triangle necklace just like yours! I’ve searched the internet to no avail! Could you share the story behind yours and possibly where to find one? So beautiful, just like you! Thanks for all who you are and share with the world! i got it in brazil visiting john of god. Hi Gabrielle, Thank you for the amazing guidance that you provide and at this point in my life, meditating is really helping me keep calm. I have started with the 40 day practise of the liberation kriya, and am still finding it difficult to maintain the posture for 9 minutes. Any suggestions? Many Many Thanks. Sat Nam. I started meditating earlier this year. It was around that time that I started practicing Kirtan Kriya (after watching one of your videos) and it was also when I started meditating to Deepak Chopra’s 40-day meditation challenge for prosperity. I truly believe that, were it not for meditation, I wouldn’t have had the insight to leave a relationship that was doing me more harm than good. It was a painful process to get myself to leave that situation (after all, I did love him and we had been living together for four years), but I know without a shadow of a doubt that meditation gave me the strength to not only survive, but to thrive in these times. You’re one of my lighthouses, Gabby! I’m giving a meditation presentation to my spiritual study group next month. If you could give any words of wisdom to beginners, what would it be? I’d be thrilled to pass something along from my “guru”. We have people aging from 20s to 80s…it’s such a beautiful thing! you can totally share any of these tips in your presentation… use this. share this! I hope I’m not butting in here and Gabby will correct me if I say anything wrong but I hope this helps you. I am 50 days into the Course. Like you, I am not a Christian but I don’t have strong feelings against the whole ‘Religious thing’. Actually, I believe that, fundamentally, the deep spiritual message of all religions is basically the same anyway. LOVE. You’re right, The Course does use lots of Christian and also predominantly male terminology (Son of God etc). I would not get too put off by the terminology as the message is a good one. Think of ‘Primal Energy’, ‘Spirit’, ‘true essence’ or just pure LOVE when they use the word God if it helps. Jesus just being a means of showing how that ‘spirit’ can manifest in a human who is free from ego….like other spiritual humans (Buddha for example). The Course can be difficult, challenging, hard to read and beautiful all at the same time. Like I say, I am not of any religion but I believe that religion (of any kind) has got a bad wrap over the years because of the things done and said in its name. Go back to the spiritual essence of it and you won’t go far wrong. When you’ve tried that, if it doesn’t work for you then discard it…but keep looking my friend. Thank you so much Sally!! I panicked and wrote the comment, feeling ever since that I shouldn’t have. I find it very beneficial to me to use the substitutes that you suggested, like how Gabby says “ing”. I am comfortable with that. I got caught up on reading that the author said Jesus spoke to her. And I still don’t know how to sort that out in my mind. Thank you so much for responding!!! I appreciate it very much. At first I wasn’t sure when to use the Meditation into Expand Intuitive Knowledge, because I’m used to using meditation to seek peace, inner growth, or guidance, not so much to celebrate and expand a good energy already present. Then I was out hiking in the woods the other day(I live in Alaska) and I just knew that the energy of the trees and sunlight and wind are for me the spiritual beauty I want to expand within myself and others, so I sang this beautiful mantra. Now I love adding the mantra to my outdoor time…and the singing has another nice benefit…it helps wildlife I do not want to take by surprise, like bears, know I’m around in a loving, peaceful way. Thanks, Gabby. Hi Gabby, I feel like I was called to you. I was in a very bad crossroads in my life, everything came crashing down on me all at once. It’s so hard to see the light when you are engulfed in darkness. I was flipping through the tv last weekend and came across super soul sunday with you appearing. I was immediately drawn to you and before the episode was over I purchased Miracles Now & May cause miracles. I also watched your 3 hour Manifest Miracles now workshop. Mind blowing!! It’s exactly what I needed at just the right time. I did the meditations you taught in the workshop & I feel so much more calm and relaxed. Knowing that everything will be ok. One of my huge stressors is my job, I did the kundalini meditation you warned about yesterday and today I just felt a pull to leave my job now. I gave my notice and I feel so calm, I know it’s the right thing for my soul, it was a major block in my life. Also, something out of the blue, something that cannot be explained, within a couple hours of leaving, I was given a sign from the divine letting me know that everything will indeed be ok and trust in their guidance. I can’t thank you enough! I hope I will get a chance to attend one of your workshops in person someday! Not everyone has an iPhone! I hope android versions of Spirit Junkie and Breathe Sync come out soon <3 Great article. Headspace is great. Hi Gabrielle, have been meditating here in England for 7 years. It’s good to get back to basics and even learn something new. Thank you. Love this article, I’ve been practicing short and long meditation and I love this article and I will use this and I want to share this with people around me. This is very practical and head on. I wanted to ask if the hand positions for the liberation meditation is the same for men and women. I want my son to join me in this meditation. Just love your meditation techniques. I’m more of an active meditator than anything. I am too psychically amped to close my eyes and be still. I’ve done the silent meditation, which is cool. I alternate between the two. I really enjoy your blog posts and social media buzz around spirituality. So cool that you’re being yourself and sharing the love. So grateful the Universe let me know you and your job. So grateful for reading this and following a lot of your videos and posts. You are so generous and such an example. I am a super fan of you and your message. Thanks so much Gabrielle! Really, you are having such an impact on me! Love and joy to u! God blessed you and you are sharing your blessings. In this particularly harsh time of my life I find confort in you and hope, some day, I will be of the same confort to others who might need it. First off please come to Canada (Ontario). Second I am new to all of the yoga/mediation world, I love listening to your books and vlogs. I live in a small basement apartment with my boyfriend and do not have much room to make meditation space. Was thinking about putting it next to my bed. Is that an ok place? I was very resistant towards meditation until I read this article of Christina Lopes… http://www.positivelypositive.com/2015/02/22/you-can-live-in-a-constant-state-of-love-heres-how/ Now I feel completely open to meditation and I am curious what effect meditation will have on me. Also there has been a curiosity towards mediation for a while now, so I figured, why not give it a try. I have been doing breath practices for the last couple of days, then I remembered you have a beginners guide to meditation. So I read the whole guide – thank you, very helpful! Well another sign that mindfulness and meditation have definitely “jumped the shark.” Blogs, 10 ways to become Spiritual, amazing. Misses the whole point. It’s not about shallow, money making schemes and web sites. Dear gabby, i love your videos and your teaching! They’ve helped me a lot! However, my mother tongue is spanish and sometimes i feel like the mantras in english (peace begins with me for exAmple) take longer to cause effect. I dont know if it is a language thing or a concentration-mind thing. Let me know your thoughts please! Also, is it ok if i translate the mantras to spanish for my own use or create my own? A few weeks ago I posted a comment. But I do not see it and Ido not see a reply. I really need your help. I am going crazy. I told you in my comment that my second child died in my arms when I was very young. I want to write a book only because I feel that if I do not get this out of my syste my system, I can not go on eith my life for fear of forgetting what hapenned. But I am stuck. I cannot get beyond his death. Please advice. How do I go on? What exactly is Kundalini? Are there “metaphysical” consequences in “igniting” it – light, sound, etc. which alter you permanently? Have you witnessed this? A reply would be greatly appreciated. I work for UPS. I was wondering if we can have you visit our site as part of our Wellness committee. UPS is huge on self awareness and healthy lifestyles. Can you email me if you are interested and please advise on how to reach you to arrange for such visit. I’m interested in kundalini. Will the videos you offer and the commitment and practice thereof ultimately (ideally) lead to my seeing light – true physical light as described in some texts, or is this merely a metaphor? Is the Spirit Junkie alarm ap only an apple product? I cannot find it in the Google Play Store. I wish I could practice meditation. However I have heard that when deep you might lose your spirit. I have also heard that is a satanic practice. Do you know is this is true? Wauw, I tried the breath Sync. First time I had 67 after this I did the joy meditation of Wanderlust and the Love & Kindness meditation. Then I did the Breath Sync again and it was 102!!! wauw this is working. And only a half hour difference in time. I going to continue with this, its GREAT! I really liked your article about meditation. for me to pay a quick visit this site, it contains valuable Information. Can’t find my pulse too weak but I do other types of meditations. Pretty component of content. I just stumbled upon your web site and in accession capital to say that I get actually enjoyed account your blog posts. Anyway I will be subscribing in your feeds and even I fulfillment you access constantly fast. Easy and flawless steps for a wonderful meditation session. Thank you for sharing your wisdom! Wow, love your inspirations here – such a profound way to connect with our intuition and increase our self awareness. Powerful and inspiring. A few extra tips and guidance for beginning meditation! This article was extremely useful, especially since I was searching for thoughts on this subject last Thursday. You have shared about your sobriety I chair an 11th step Meditation mtg at my local AA club as you know the 11th step is: Sought through prayer and meditation to improve our conscious contact with God. Do you have any recovery meditations that you might recommend? Meditation has been a key element in my life and my success. Thanks for sharing these new ways to meditate. Such an important post! 🙂 I really feel meditation has helped me SO MUCH in my life. I’ve always been an anxious soul, and daily meditation is key for regaining balance and harmony. Sometimes I’m quite bad at making it a priority, but I try to remember that even 5 minutes is so much better than 0 minutes. My favorite app is Insight Timer! They literally have thousands of different meditations and I love experimenting with new ones! Wow this is great info. Thank you! Peace begins right here! Thank you. I wasn’t going to comment, but honestly I feel very grateful for what you are sharing with so many and I wanted to thank you. I’m always learning, and I’ve recently learned, from you, some pretty awesome ways to fit meditation into my life more regularly—something I’ve been “meaning to do” for a while. I believe it will happen. It’s already happening. Thank you. Will your apps be available on android? I don’t have any Apple products. It seems a lot of the recommend apps aren’t on android either. we are working on this. stay tuned! thank you for this. I have been reading all your books :). I do have a question? is it true that things and situations get worse when you begin to meditate? I don’t know if I’m doing something wrong or if I’m blocked or what. I’ve been trying out meditation for about a month now and it’s been an interesting experience. I will admit I have felt good as I’ve faced the day ahead. However, twice now ill be meditating, finally having gotten my mind quiet and under control when all of a sudden my eyes pop open and I feel like I’ve slammed into a wall. It’s such a disturbing jolt and I don’t know how to interpret it. What am I doing wrong? What an great time in my life to find you! I have so much more peace now. I have meditated for the first time after a very long time just now. While doing my practice, I was able to see a light coming over me and it surrounded me with love and warmth. I was so overwhelmed by the light that I had to open my eyes as it was blinding me. As I awake, i just felt an overwhelming feeling of love. I tried writing something down to see if there’s a message my spirit guide is telling me. True enough I received a message of love and a validation to trust my instincts to guide me to where I want to be. P.S. please come back to Toronto! This is beautiful, Katherine. Thank you for sharing!! Do you ever do workshops or courses in israel? I have read all of the books which I love & have been reading & following lots of the advice but yesterday is when I first decided to try meditation as I struggle to control my thoughts at times & can be prone to leaning to the negative. After my meditation yesterday I felt so positive & full of energy so I decided to wake up earlier today & meditate again with a mantra, I felt so peaceful & loved but then tears began to stream down my face & wouldn’t stop until I was crying a lot but did not feel sad just happy & grateful has this happened to anyone before, it felt like some kind of release? That is a big emotional release! They can come out of nowhere and take us by surprise. They are a gift and they help us move forward. It’s a miracle. Stick with the practice. Please do hold up the first rate work. here early in the morning, since i like to gain knowledgve of more and more. Hi Gabby! Thank you so much for sharing this. Meditation is for everyone, and this post is so beautifully displayed and put together. And extremely informative and helpful! I will definitely be sharing this with people who have never meditated before and would like some guidance on beginning a practice. Thanks again!